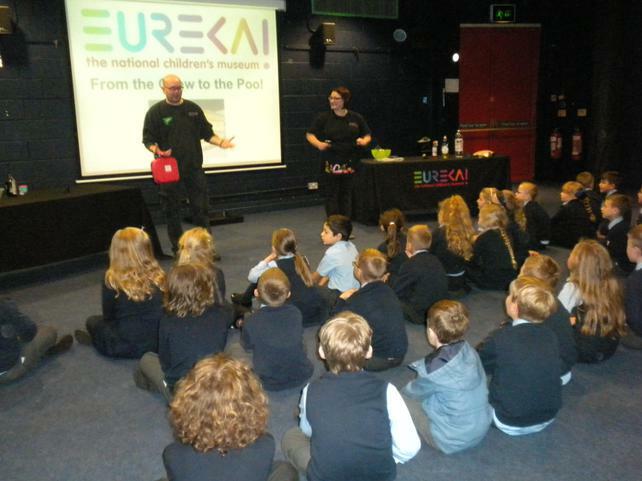 We all had a fantastic day at Eureka and learnt some amazing things. 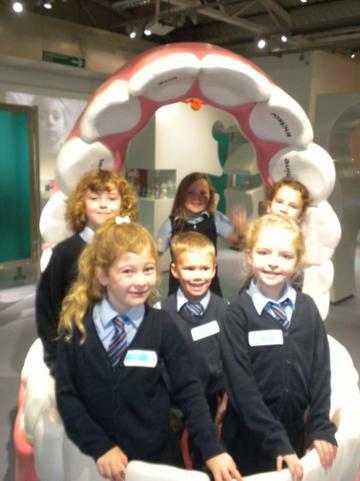 We have been very lucky this week to have had a visit from the dental nurses at Churchfield Dental Centre. 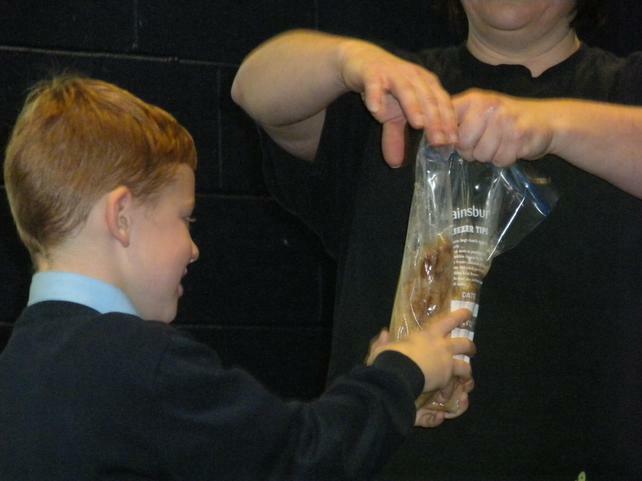 They talked to the children about dental and oral health and the importance of looking after their teeth. 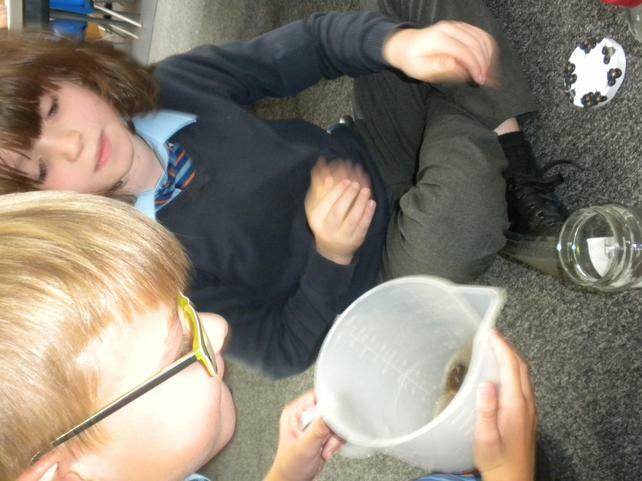 This week also saw the end of our teeth experiment . 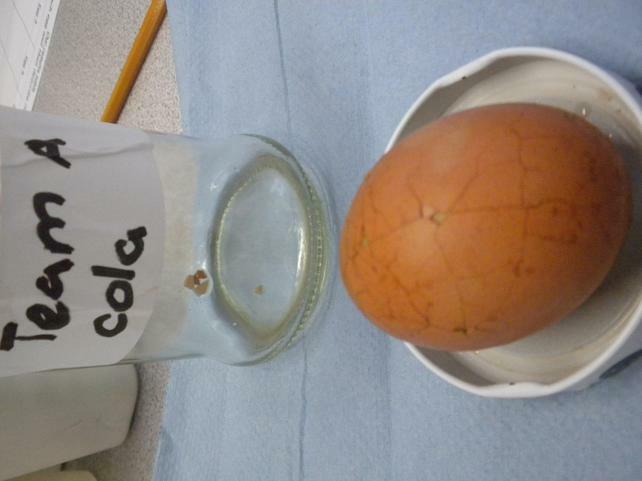 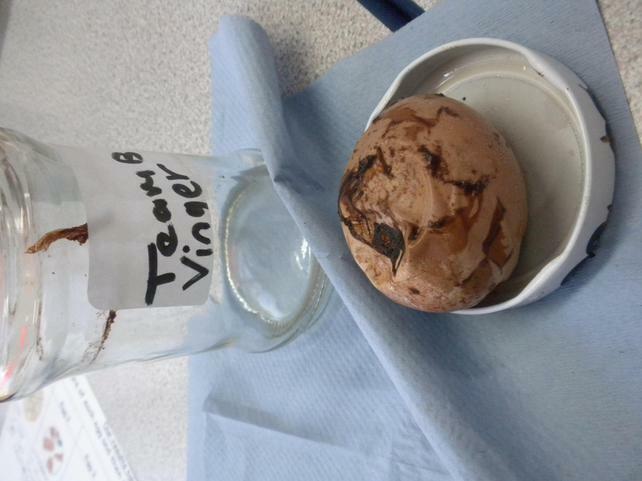 We found out that orange juice, vinegar and cola can damage the shell of an egg. 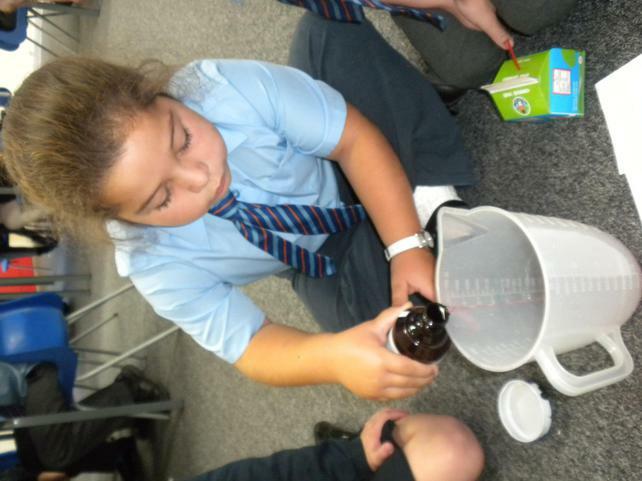 We also found out that water and milk don't so we know that these are safe drinks for our teeth. 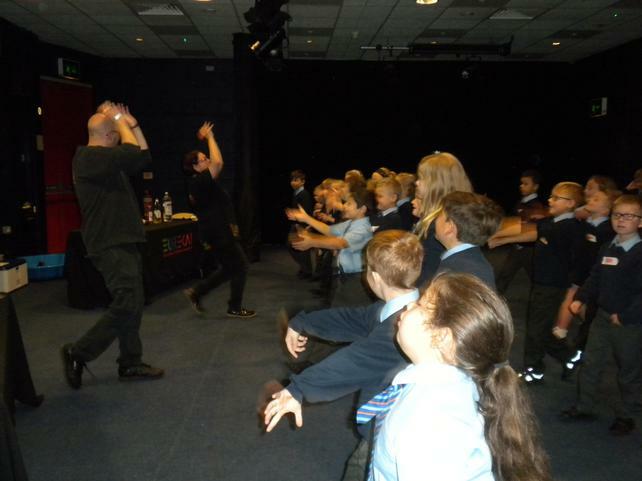 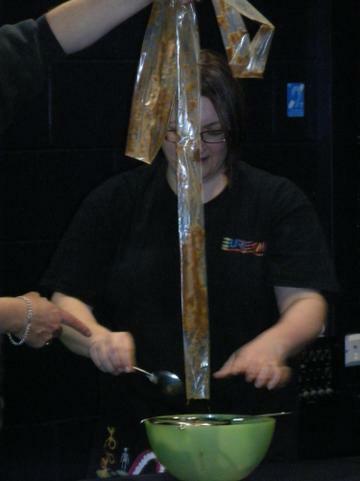 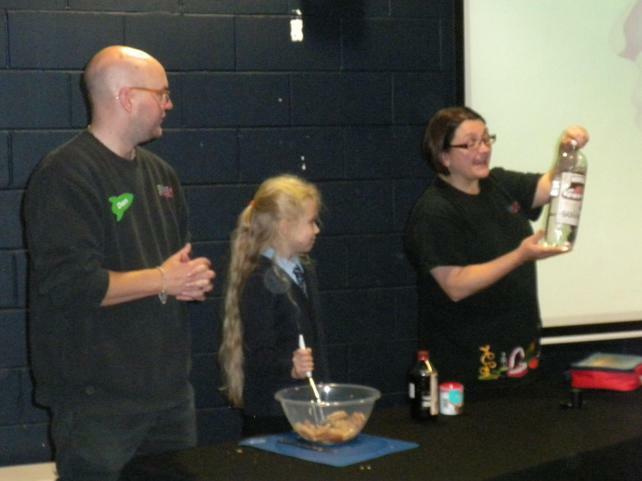 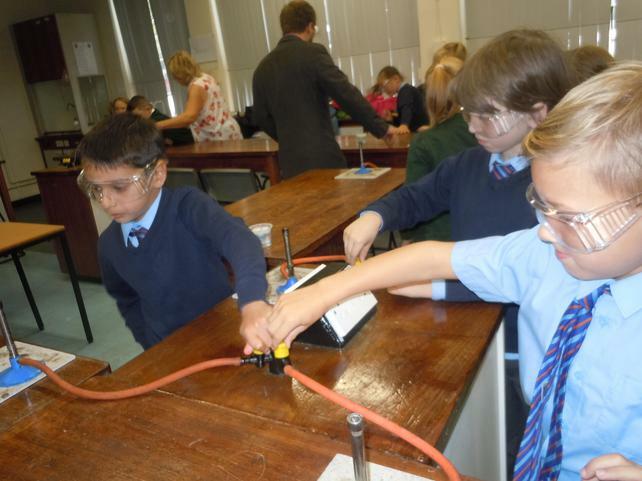 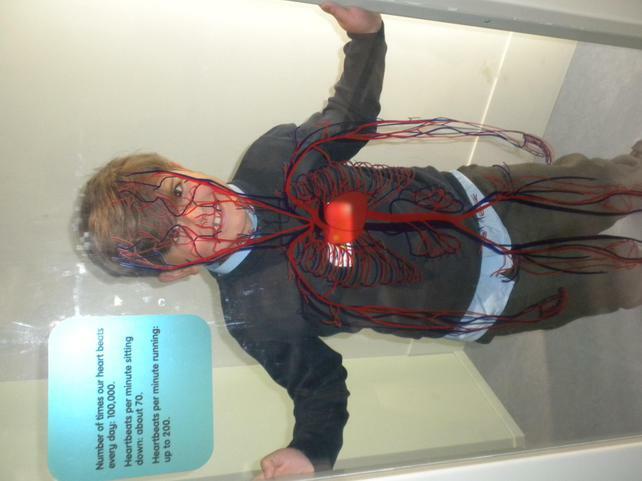 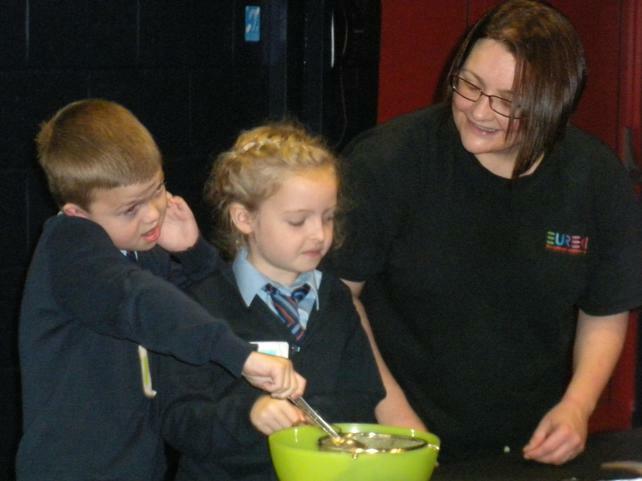 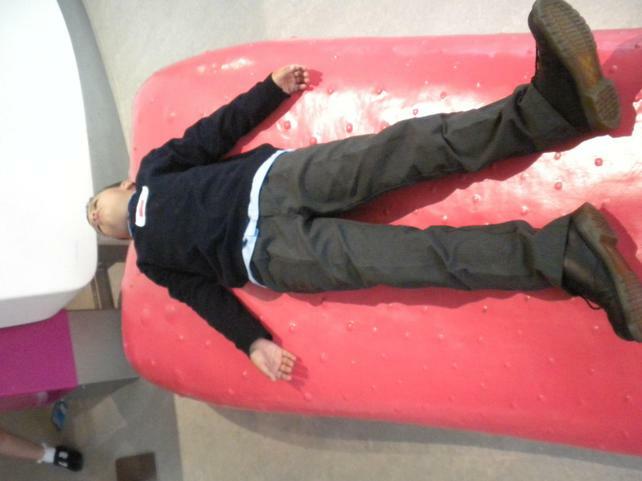 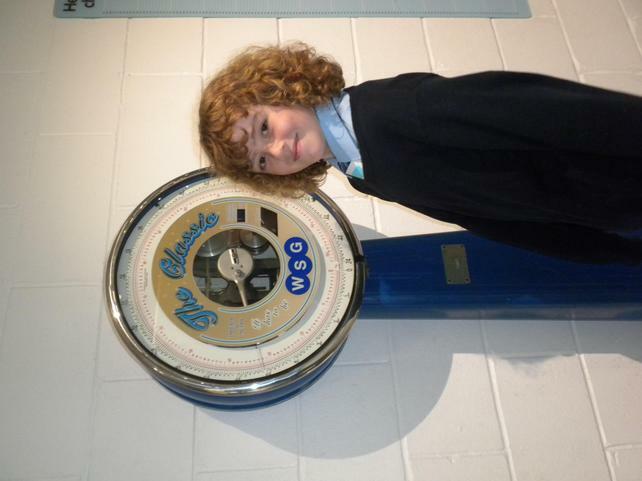 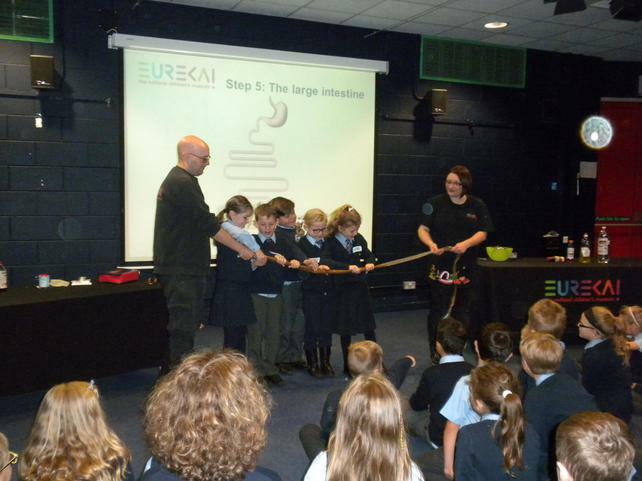 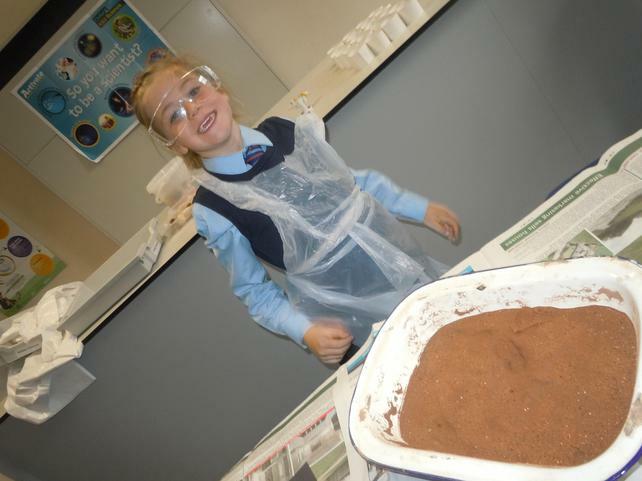 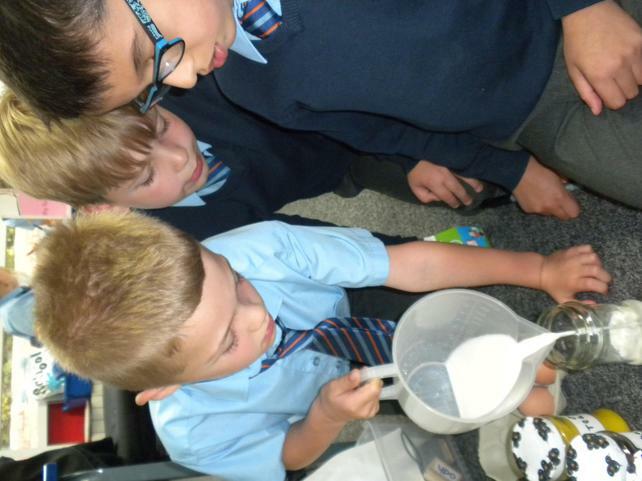 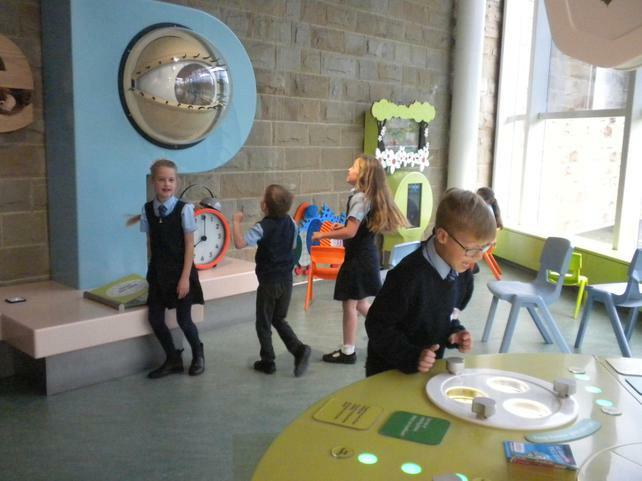 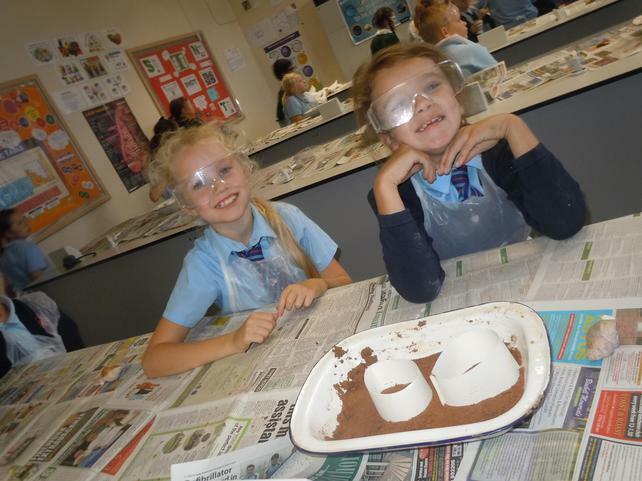 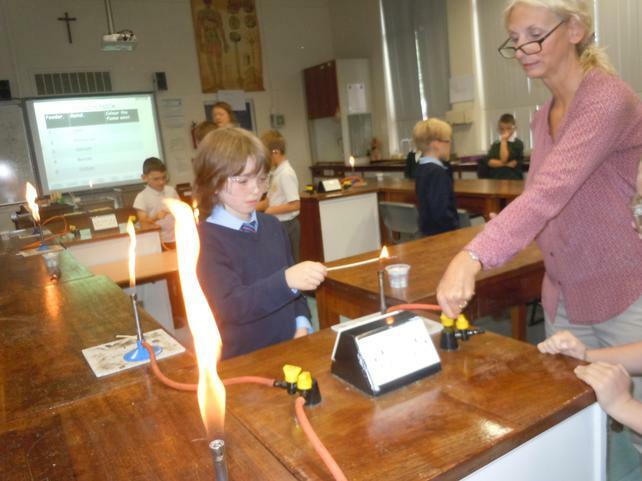 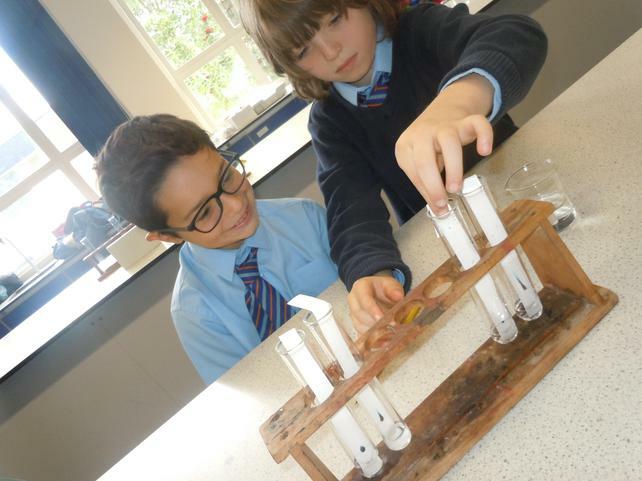 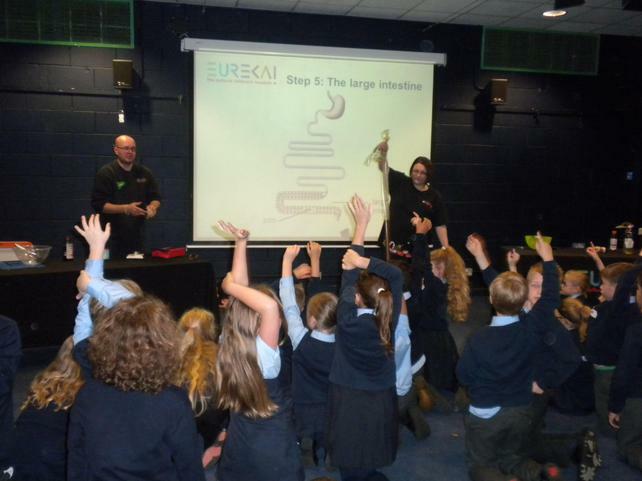 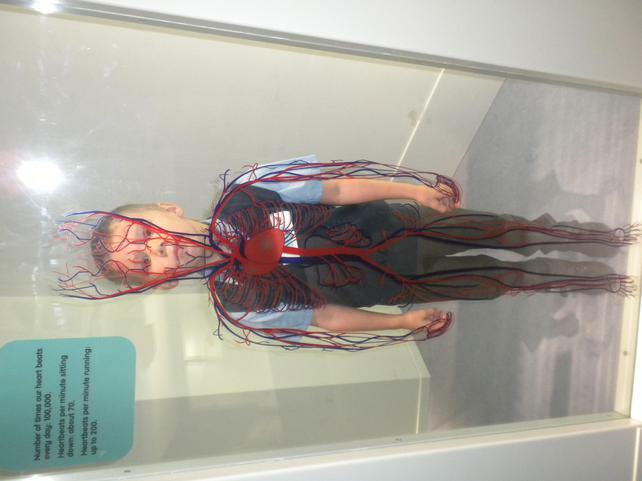 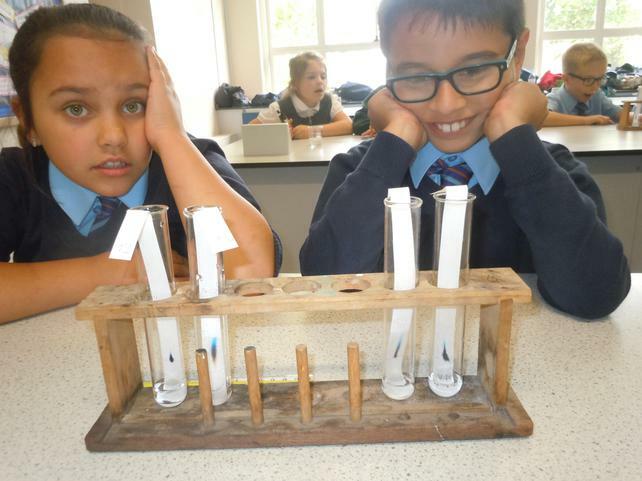 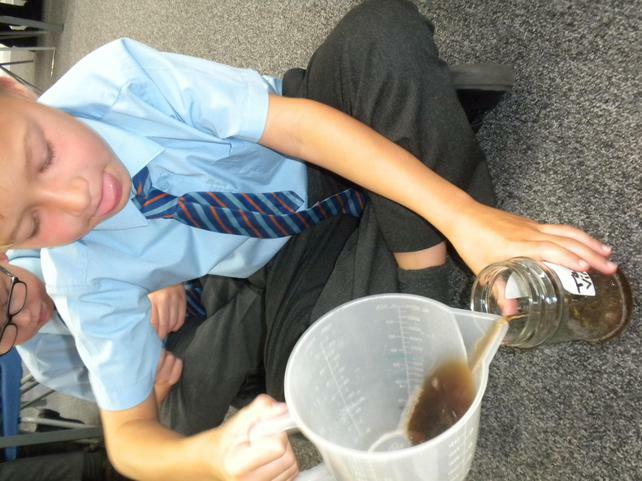 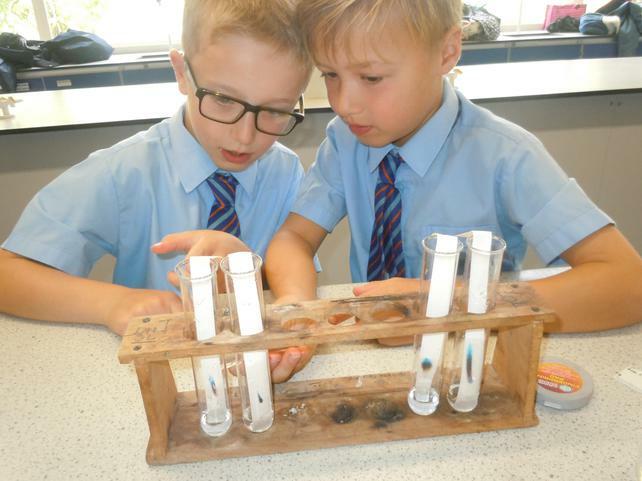 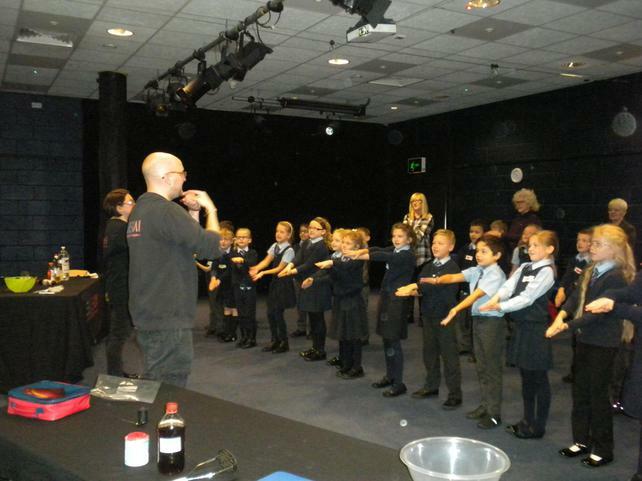 Mrs Walker and Year 4 had a wonderful time when they went to St Pius for the day to learn all about science. 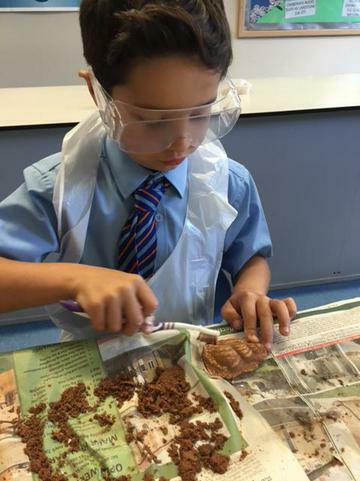 I think we have some scientist in the making! 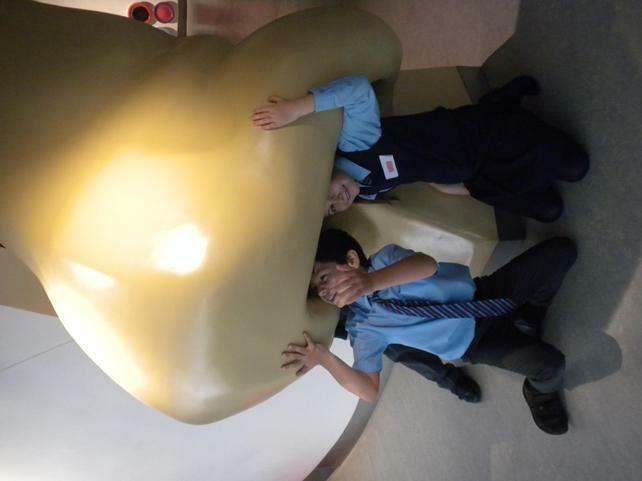 Did you know that the surface of your teeth are just like the shell of an egg? 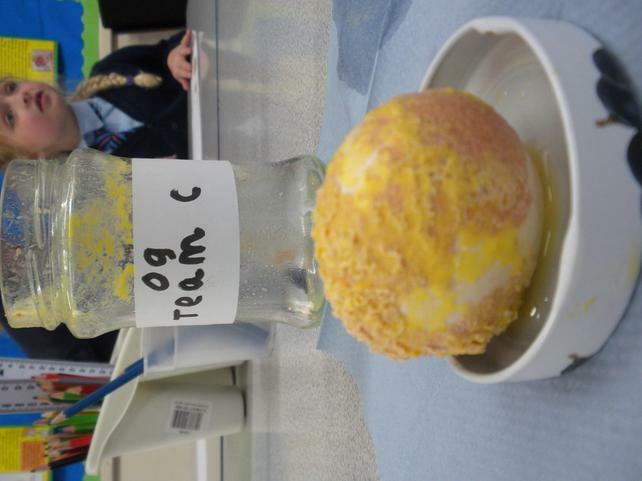 Well that's what class 3 have been investigating this week. 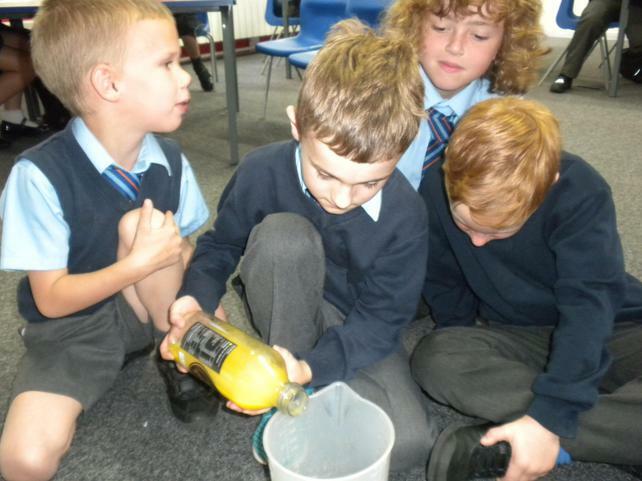 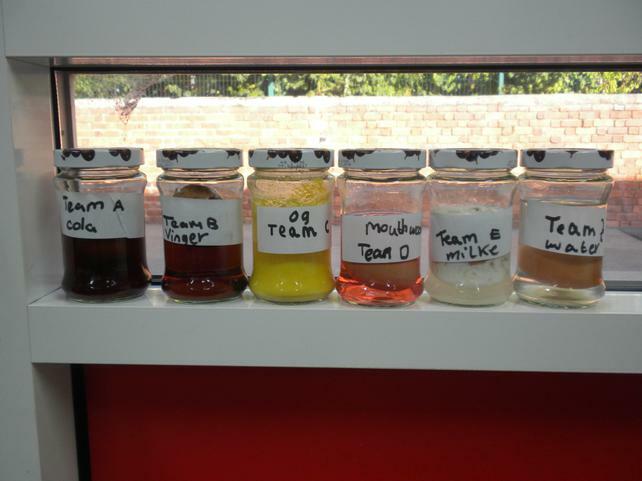 We soaked hard boiled eggs in different liquids to see what would happen to them. 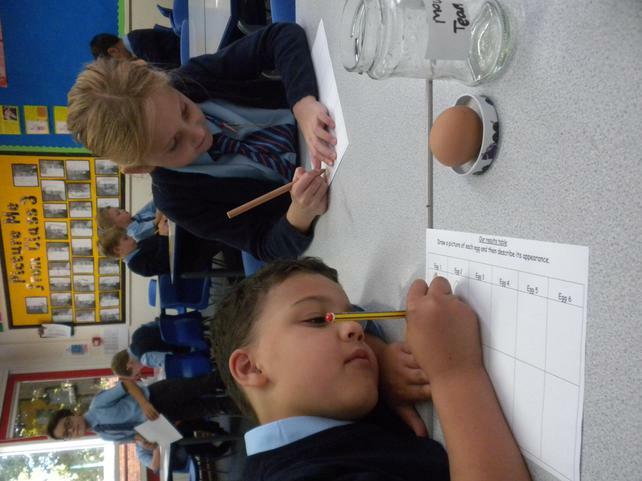 On Monday we will open up the jam jars to examine what they look like. 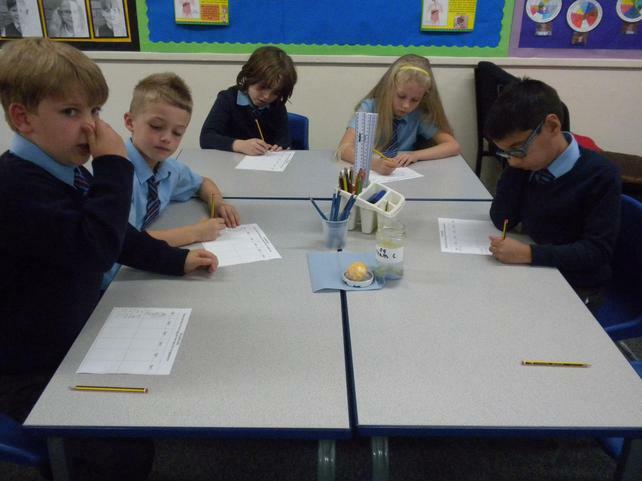 We've been testing to see if saliva breaks down food as part of our digestion topic. 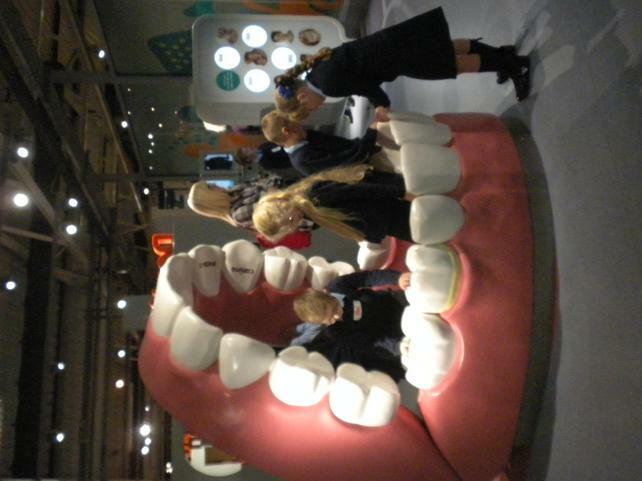 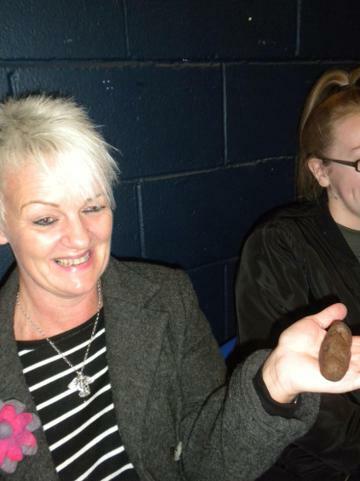 Everyone enjoyed taking dental impressions and working out which teeth were which!